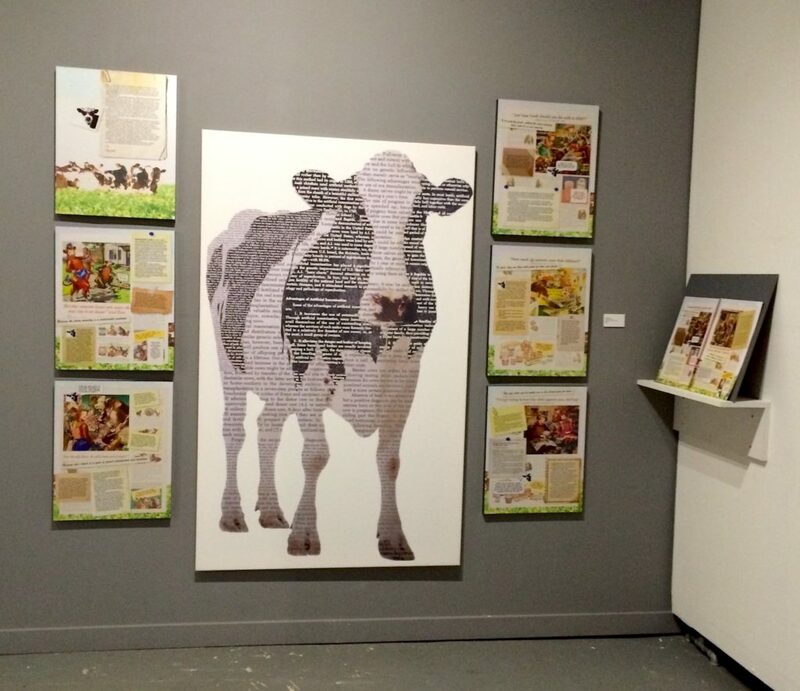 When I began working on Deconstructing Elsie, my purpose was to create a visual exploration of the dark side of the dairy industry in a nutshell, from the heartbreaking abuse of cows (as well as the discarded calves that become veal) to pollution of soil and water, dissemination of false information, and much more in between. 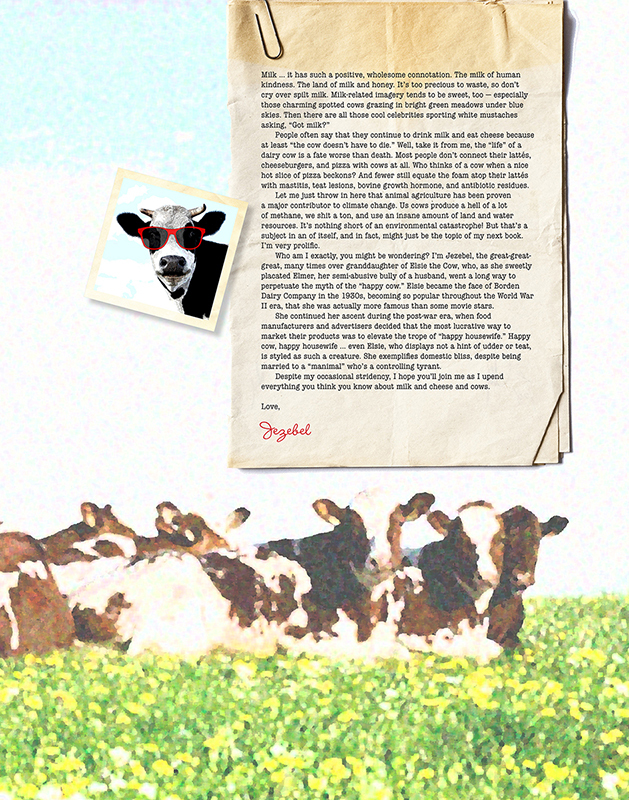 What I didn’t expect was to find such a huge intersection between the stark facts about Big Dairy and ideas about oppression as they pertain to patriarchy and misogyny. 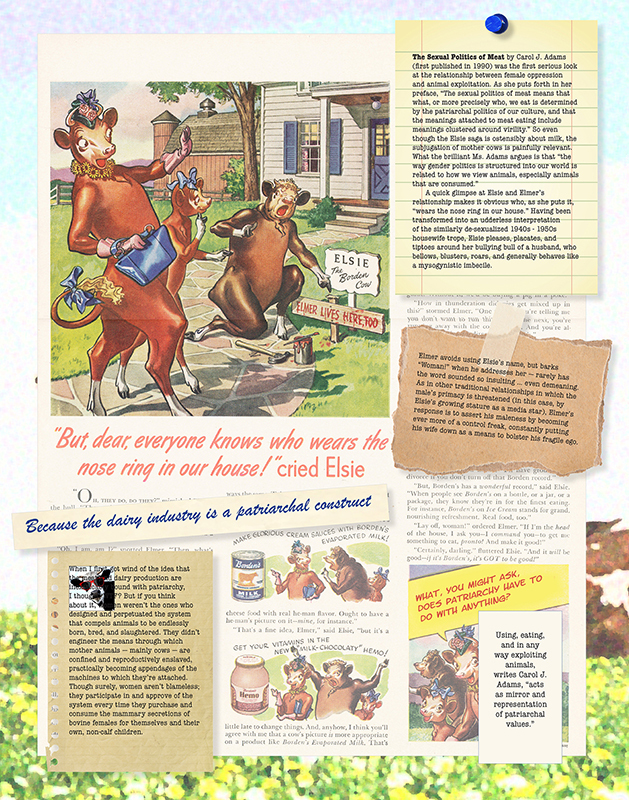 Altering midcentury Elsie the Cow advertisements seemed a perfect vehicle for presenting the disturbing themes in these intertwined subjects with a bit of levity. 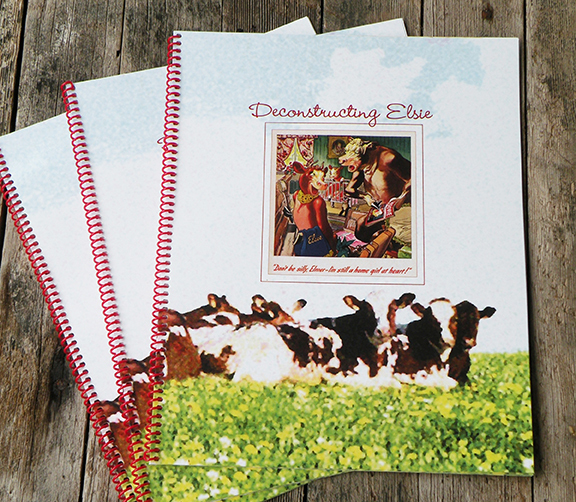 Deconstructing Elsie weaves health, environmental, political, and ethical issues particular to the dairy industry with notions of gender and animal oppression and patriarchy. This limited edition book, along with a related wall installation, is part of an exhibition (Feb. 22 – April 30, 2017) at the Animal Musuem in Los Angeles, titled The Sexual Politics of Meat, paying homage to Carol J. Adams’ classic feminist book of the same titile. The exhibit will be accompanied by a book (The Art of the Animal: Fourteen Women Artists Explore The Sexual Politics of Meat (published by Lantern Books, NY) and is expected to travel. Installation view of Deconstructing Elsie and accompanying wall installation; Animal Museum, L.A.